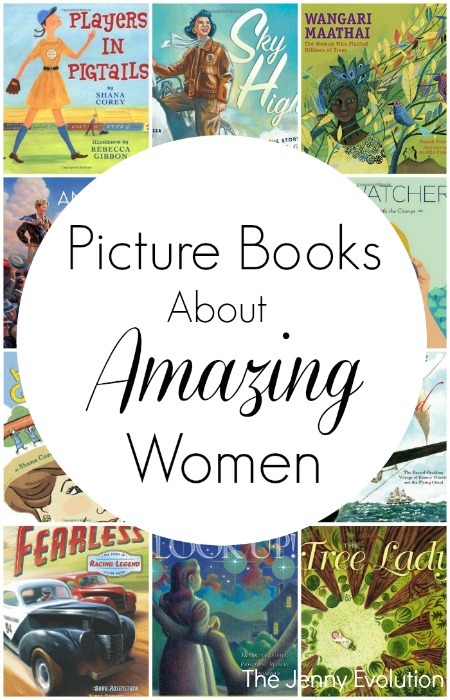 Picture Books about Women -- Amazing Women! 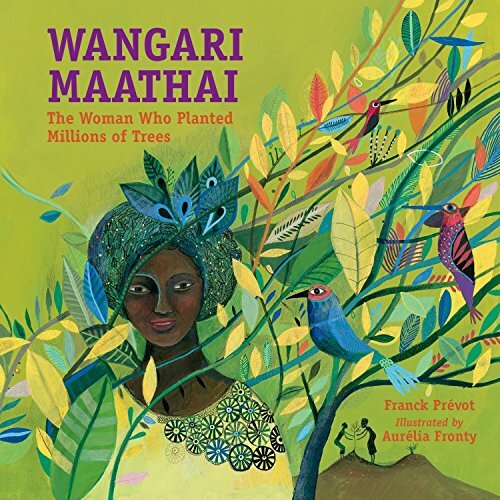 Picture Books about Women… Amazing Women! 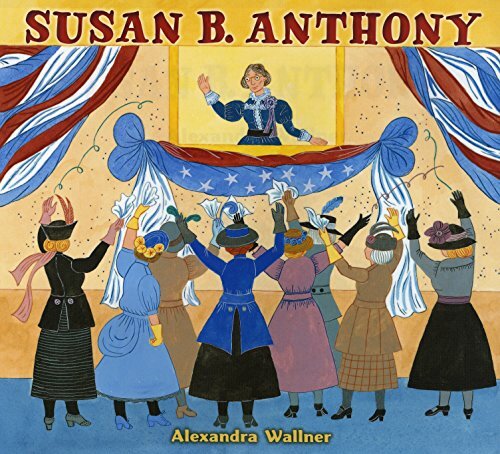 For women’s history month, I’m sharing some of our favorite non-fiction picture books about women… amazing women! As the mom of boys, I believe it’s just as important that both boys and girls learn about inspiring women and learn that girls can do the same thing as boys — sometimes with better results! My boys have learned that girls can be leading thinkers and accomplish some pretty cool things despite the roadblocks society may have put in their way. Now that’s the power of intelligent picture books about women! You can find these books at your local library or purchase through the affiliate links provided for your convenience. My boys really did enjoy reading about all of these amazing women! 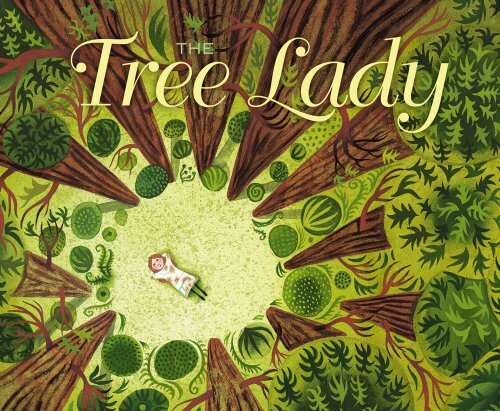 Two books that really stood out for them was Players In Pigtails and The Tree Lady: The True Story of How One Tree-Loving Woman Changed a City Forever. We even had the audio version of Players in Pigtails and would listen to it time and time again while in the car. Players In Pigtails: Did you know that one of America’s favorite songs, “Take Me Out to the Ball Game,” was written about a girl? And that in the 1940s girls all across America were crazy for our country’s favorite game? 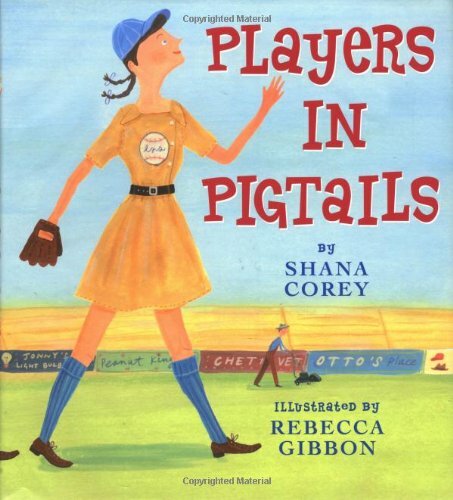 With the same exuberant spirit that fueled the formation of the All American Girls Professional Baseball League, joyful text & jubilant pictures celebrate these brave girls’ love of the game & the league they called their own. Look Up! : Henrietta Leavitt, Pioneering Woman Astronomer: Henrietta Swan Leavitt was born on July 4, 1868, and she changed the course of astronomy when she was just twenty-five years old. 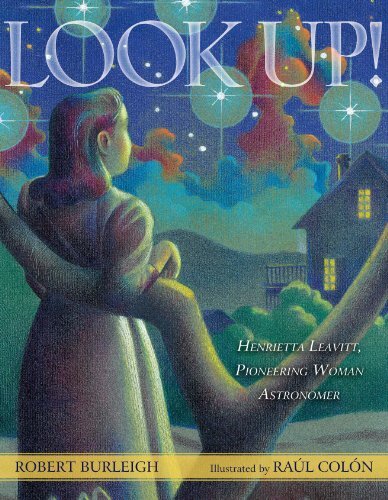 Henrietta spent years measuring star positions and sizes from photographs taken by the telescope at the Harvard College Observatory, where she worked. After Henrietta observed that certain stars had a fixed pattern to their changes, her discovery made it possible for astronomers to measure greater and greater distances—leading to our present understanding of the vast size of the universe. 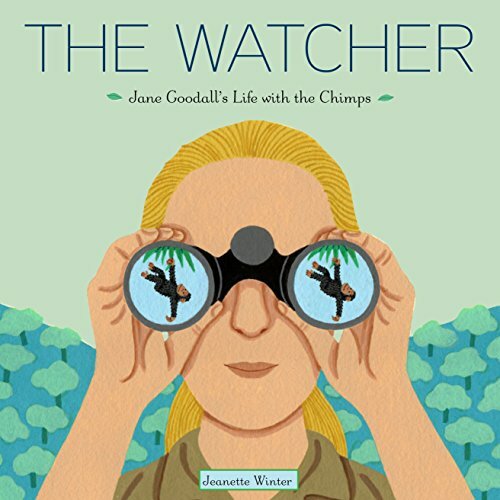 The Watcher: Jane Goodall’s Life with the Chimps: Acclaimed picture book biographer Jeanette Winter has found her perfect subject: Jane Goodall, the great observer of chimpanzees. Follow Jane from her childhood in London watching a robin on her windowsill, to her years in the African forests of Gombe, Tanzania, invited by brilliant scientist Louis Leakey to observe chimps, to her worldwide crusade to save these primates who are now in danger of extinction, and their habitat. 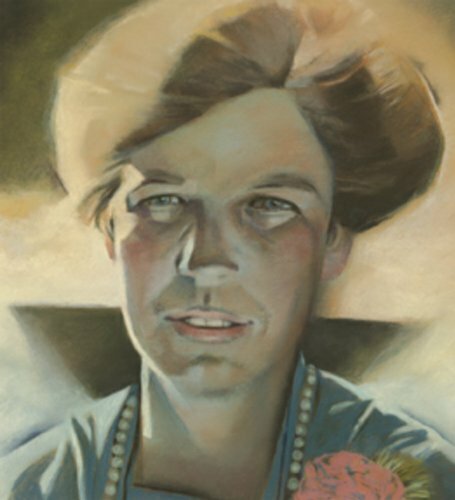 Eleanor, Quiet No More: Eleanor Roosevelt was raised in a privileged but stern Victorian household, with an affectionate but mostly absent father and a critical mother who made fun of her daughter’s looks. Alone and lonely for much of her childhood, Eleanor found solace in books and in the life of her lively and independent mind. Her intellectual gifts and compassionate heart won her the admiration of many friends — and the love of her future husband, Franklin Delano Roosevelt. 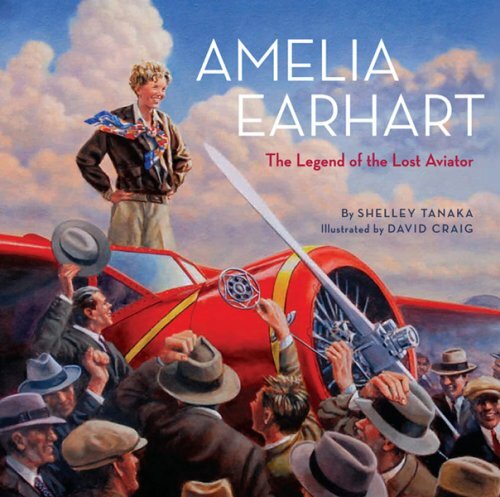 Amelia Earhart: The Legend of the Lost Aviator: Amelia Earhart follows the charismatic aviator from her first sight of an airplane at the age of ten to the last radio transmission she made before she vanished. Illustrated with original artworks, contemporary photographs, quotes, and details, this is a great introduction to the famous pilot. The book includes a bibliography and an index. Susan B. Anthony: During Susan B. Anthony’s life, women and men were not considered equal. Women could not own property or vote; nor could they receive good educations. But Susan envisioned a time when women would be treated fairly and so became a voice for change. Her speeches and articles about women’s suffrage made her unpopular–people threw rotten eggs at her and even threatened her life–yet she did not give up. Here Come the Girl Scouts! 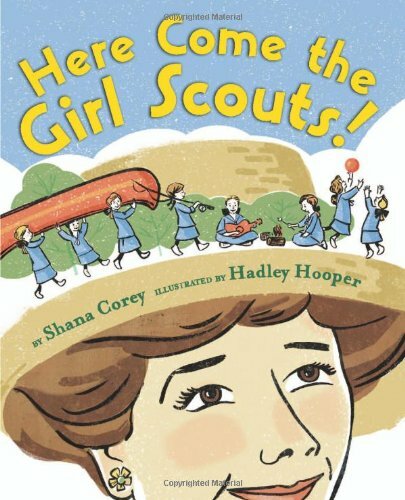 : The Amazing All-True Story of Juliette ‘Daisy’ Gordon Low and Her Great Adventure: The amazing, all-true story of the first Girl Scouts and their visionary founder. She loved the outdoors, and she yearned for adventure! Born into a family of pathfinders and pioneers, she too wanted to make a difference in the world–and nothing would stop her. Combining her ancestors’ passion for service with her own adventurous spirit and her belief that girls could do anything, she founded the Girl Scouts. One hundred years later, they continue to have adventures, do good deeds, and make a difference! 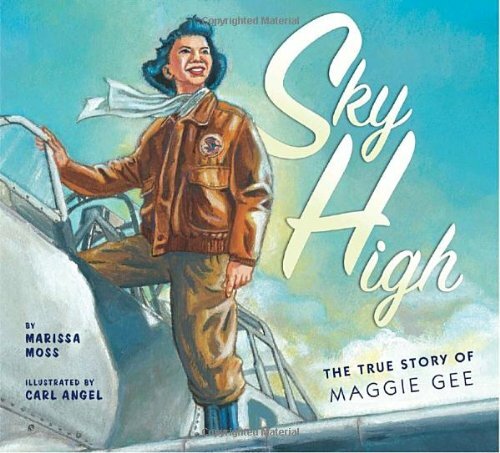 Sky High: The True Story of Maggie Gee: Based on the true adventures of a girl not bound by gravity, Marissa Moss’s stirring story and Carl Angel’s brilliant illustrations depict what determination, bravery, and boundless possibilities look like when dreams are allowed to soar sky high. 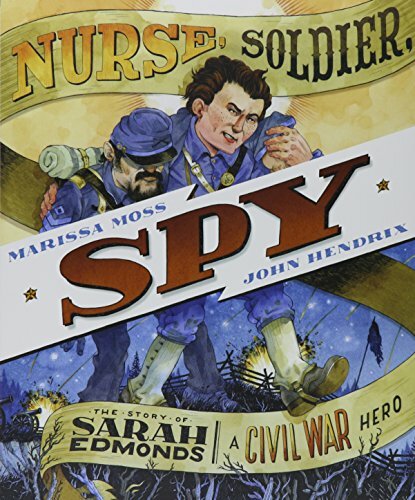 Nurse, Soldier, Spy: The Story of Sarah Edmonds, a Civil War Hero: This fast-paced, high-energy picture book tells the true story of Sarah Emma Edmonds, who at age nineteen disguised herself as a man in order to fight in the Civil War. She took the name Frank Thompson and joined a Michigan army regiment to battle the Confederacy. Sarah excelled as a soldier and nurse on the battlefield. Because of her heroism, she was asked to become a spy. Her story comes to life through the signature illustrations and design of John Hendrix and the exciting storytelling of Marissa Moss. 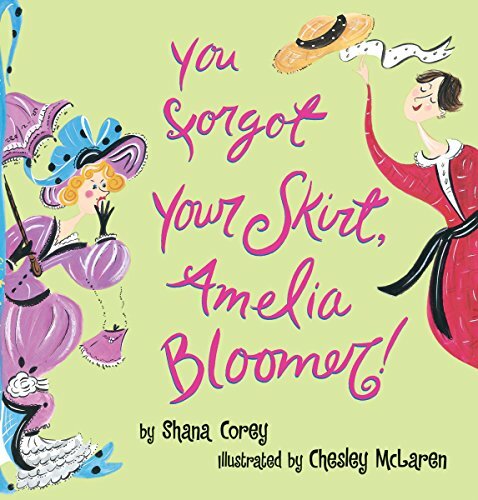 You Forgot Your Skirt, Amelia Bloomer: Amelia Bloomer, a rebellious reformer and early women’s rights activist, invented bloomers (baggy pantaloons worn with a short skirt over them), thus liberating women from the dangerous and oppressive clothing of the mid-nineteenth century. Here is her story, told in buoyant, witty text and beautiful, high styled-illustrations. I Could Do That! 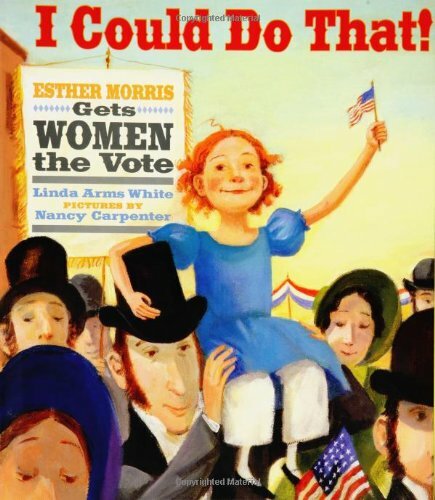 : Esther Morris Gets Women the Vote: “I could do that,” says six-year-old Esther as she watches her mother making tea. Start her own business at the age of nineteen? Why, she could do that, too. But one thing Esther and other women could NOT do was vote. Only men could do that. 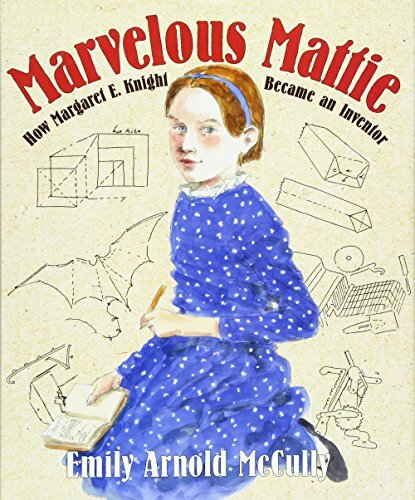 With lively text and humorous illustrations as full of spirit as Esther herself, this striking picture book biography shows how one girl’s gumption propels her through a life filled with challenges until, in 1869, she wins the vote for women in Wyoming Territory – the first time ever in the United States! The Tree Lady: The True Story of How One Tree-Loving Woman Changed a City Forever: Unearth the true story of green-thumbed pioneer and activist Kate Sessions, who helped San Diego grow from a dry desert town into a lush, leafy city known for its gorgeous parks and gardens. Now, more than 100 years after Kate first arrived in San Diego, her gorgeous gardens and parks can be found all over the city. Miss Moore Thought Otherwise: How Anne Carroll Moore Created Libraries for Children: Once upon a time, American children couldn’t borrow library books. Reading wasn’t all that important for children, many thought. Luckily Miss Anne Carroll Moore thought otherwise! 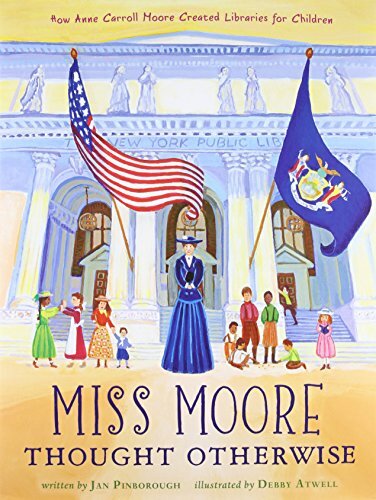 This is the true story of how Miss Moore created the first children’s room at the New York Public Library, a bright, warm room filled with artwork, window seats, and most important of all, borrowing privileges to the world’s best children’s books in many different languages. Who Says Women Can’t Be Doctors? 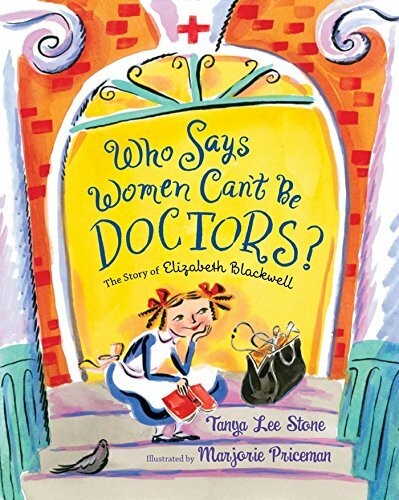 : The Story of Elizabeth Blackwell: In the 1830s, when a brave and curious girl named Elizabeth Blackwell was growing up, women were supposed to be wives and mothers. Some women could be teachers or seamstresses, but career options were few. Certainly no women were doctors. But Elizabeth refused to accept the common beliefs that women weren’t smart enough to be doctors, or that they were too weak for such hard work. And she would not take no for an answer. 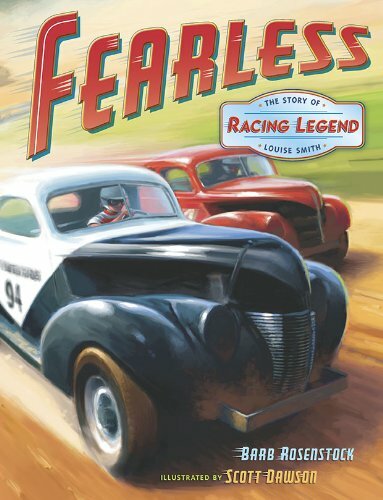 Fearless: the Story of Racing Legend Louise Smith: When Louise Smith started racing cars, most girls weren’t even allowed to drive. From her first wild adventure behind the wheel of her daddy’s Ford to the dangers and thrills of stock-car tracks across the country, Louise fearlessly paved the way for women in racing and became a NASCAR legend! It takes a lot of courage to be the first, but when you fearlessly follow your dreams, anything is possible. 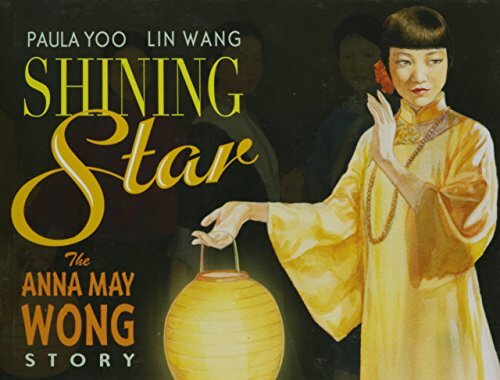 Shining Star: The Anna May Wong Story: Anna May Wong—the first Chinese American movie star—was a pioneer of the cinema. Her spirited determination in the face of discrimination is an inspiration to all who must overcome obstacles so that their dreams may come true. 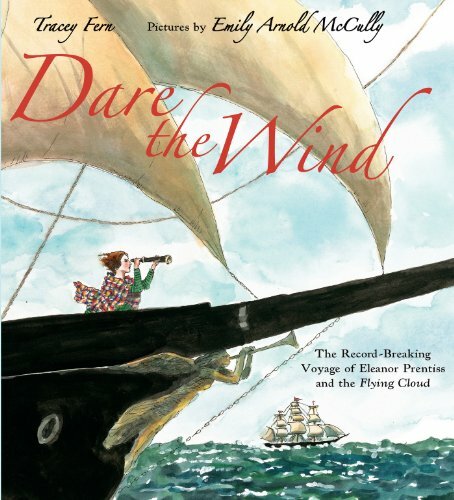 Dare the Wind: The Record-breaking Voyage of Eleanor Prentiss and the Flying Cloud: Ellen Prentiss’s papa said she was born with saltwater in her veins, so he gave her sailing lessons and taught her how to navigate. 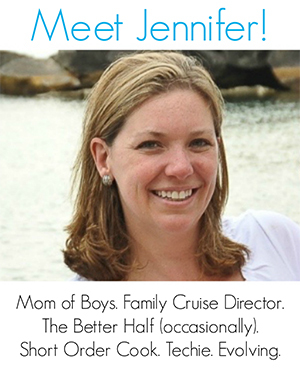 As soon as she met a man who loved sailing like she did, she married him. When her husband was given command of a clipper ship custom-made to travel quickly, she knew that they would need every bit of its speed for their maiden voyage: out of New York City, down around the tip of Cape Horn, and into San Francisco, where the Gold Rush was well under way. In a time when few women even accompanied their husbands onboard, Ellen Prentiss navigated their ship to set the world record for speed along that route. Like these picture books about women? Find even more engaging book lists for kids with more than 100 book-themed reading lists! 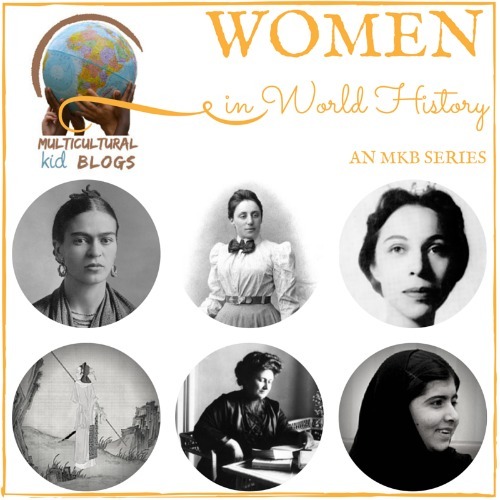 Be sure to join my fellow bloggers on Multicultural Kid Blogs who are also highlighting amazing women with kid-focused activities throughout the month. Wonderful Collection. The celebration of women’s day continues here. This is such a wonderful collection of books about amazing women! You don’t see enough! Sharing. Glad to see I Can Do That on this list. What a great selection! I’ll keep an eye out for these! Definitely do. If they pass the mustard with my boys — you know they’re fabulous books! What a great round up – thank you for sharing! I want to raise my boys to be feminists and these books are fantastic tools to teach how important women are, especially in traditionally male dominated roles. Thanks for the list! I’ve added loads of these to my wish list for my little boys. Can’t wait to read them together!